The airline Jet2.com has announced a new route from Manchester to Bergerac for the summer 2014. 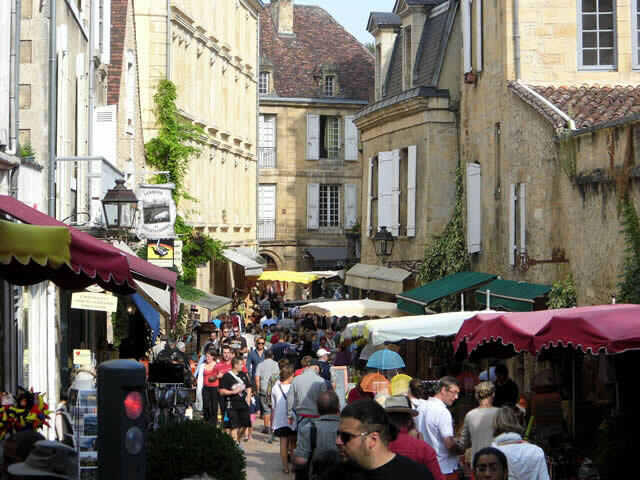 The direct service connecting the North of England to the Dordogne will start with prices around £31 per person, including taxes. Also, as part of a major expansion at Birmingham airport, Flybe has added seven new routes to its service, two of which will be to the South West of France. Starting this summer there will be six flights per week to Toulouse and four flights per week to Bordeaux. Good news for anyone missing English food. Which Offshore has created an interactive food map for expats! The map allows British people to find the nearest shop selling items like Branston pickle and tea bags and then zoom in to the exact location. Apparently 61% of British people take their favourite food items with them when visiting their holiday home. A temporary ruling allowing DIY stores to open on a Sunday until July 2015 has been suspended. Following a complaint from the trade unions, the Counseil d’Etat has ruled that allowing Sunday opening went against the principles of a weekly day of rest that is guaranteed in the constitutional rights of employees. 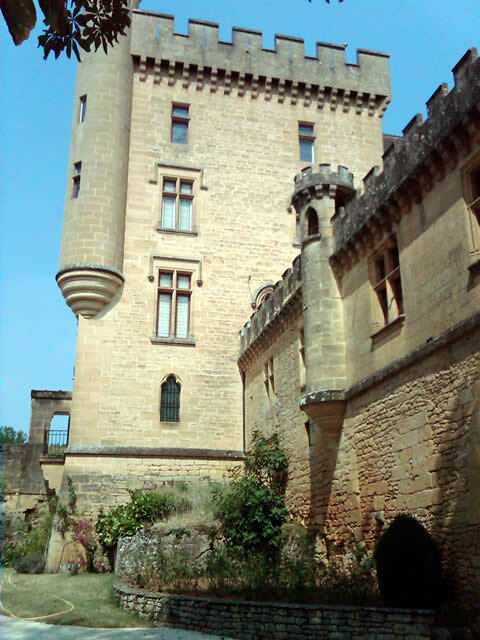 Here is another Château in the same area, half way between Les Eyzies and Sarlat is Château de Paymartin and it is just one of the 10001 Château’s in the Dordogne. We have visited about ten Château’s so quite a way to go yet. 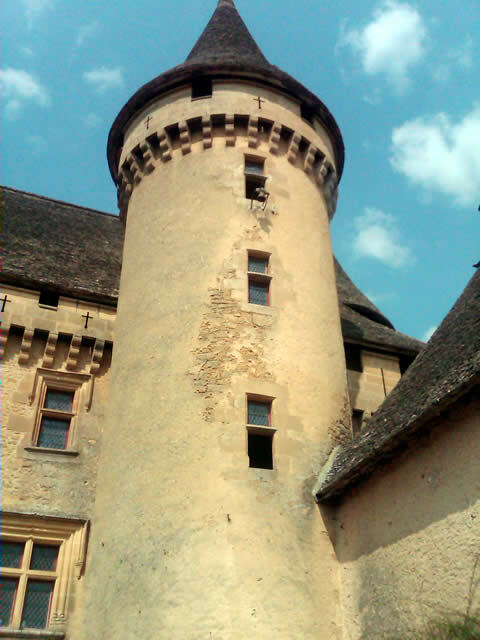 This Château is one of our favourites; it is a definite must see if you travel to the Dordogne. They also have a ghostly white tower! The legend is of the White Lady – Therese de Saint Clar who was very surprised when her husband came back early from the War. Her lover was killed and Therese was placed into the tower. The tower has a very small room at the top. The door was walled up and only a small hatch was allowed so that food could be sent up to Therese. She never came out and on her death fifteen years later her body was walled up in the Tower, where it still remains to this day. Legend says that Therese haunts the Château at night around midnight she is said to walk from the tower down the stone steps to her husband’s bedroom. A very sad tale, I felt very sorry for her when I saw the tower, it was so small, so to stay there for fifteen years must have been terrible. 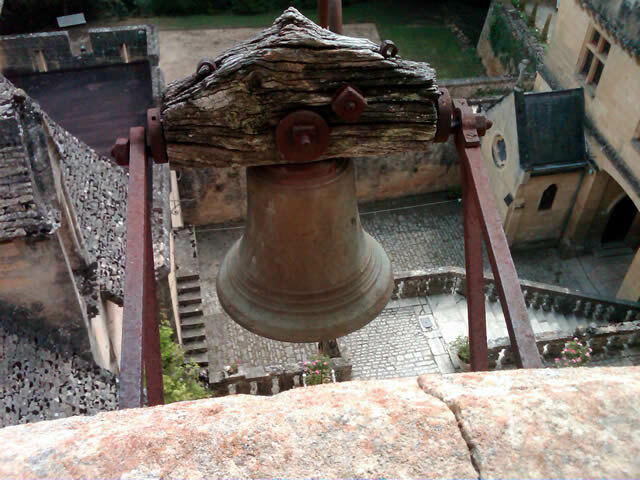 The White Tower – you can just see the bell near the top outside of Therese’s room so that she could ring for food. This picture was taken from the White Tower looking down to the courtyard. 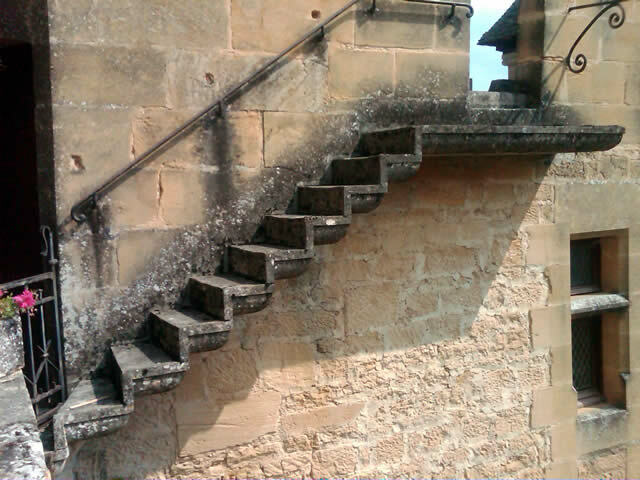 Very interesting stone steps to the battlements. Not in tourist use, thank goodness. 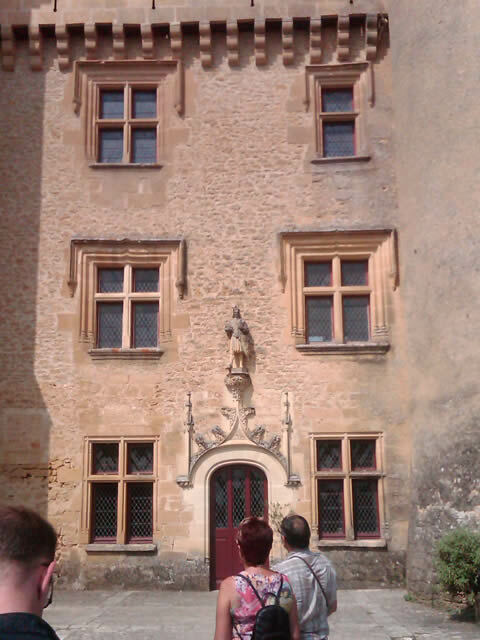 Unfortunately, once again you can not take photographs inside the Château. Which is a great shame, because Puymartin does have quite a few gorgeous rooms, the fireplaces alone are worth a visit. It is open from April to November 10-12 am and 2-4pm. In the summer months they have nocturnal visits and a ‘dinner spectacular’- You need to book in advance for the last two. 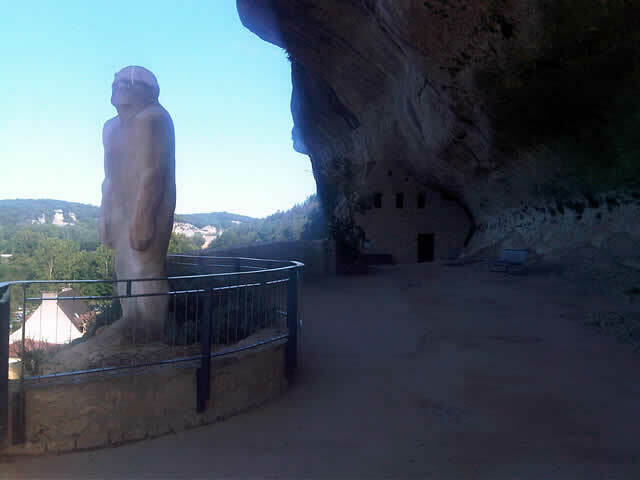 You cannot miss the Museum in Les Eyzies because of its statue at the front of the cliff which is a presentation of Cro-Magnon man by Paul Darde in 1930. I must say that it is not the best statue that I have ever seen, something like Marmite you love it or hate it. Marmite? 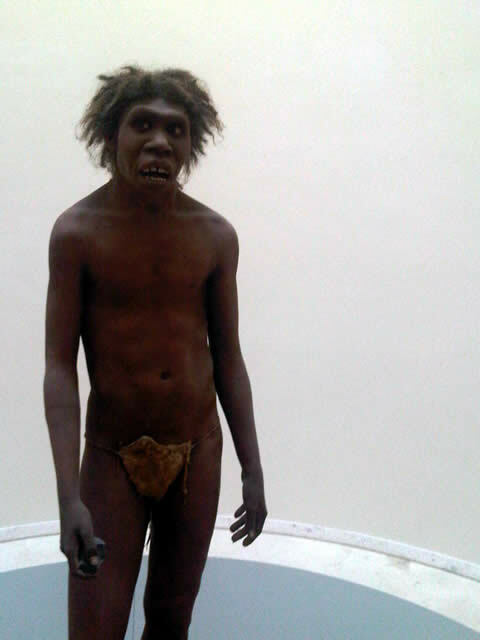 Love it or hate it the statue of Cro-Magnon. He looks rather sad with his drooping shoulders and his forlorn face, don’t you think? 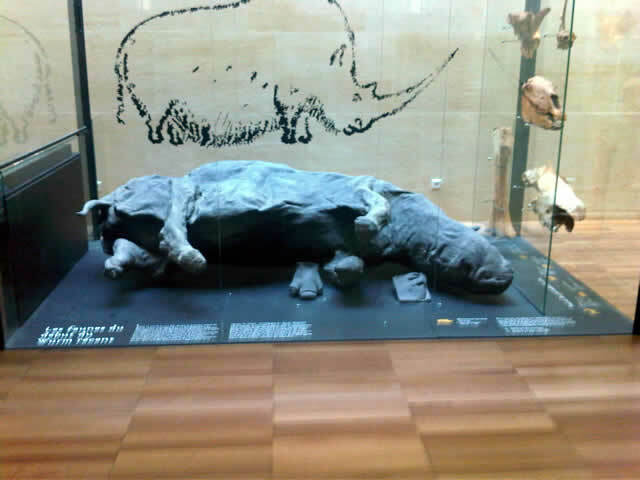 The Museum is built in the overhang of a limestone cliff over looking the lovely Vezere River. 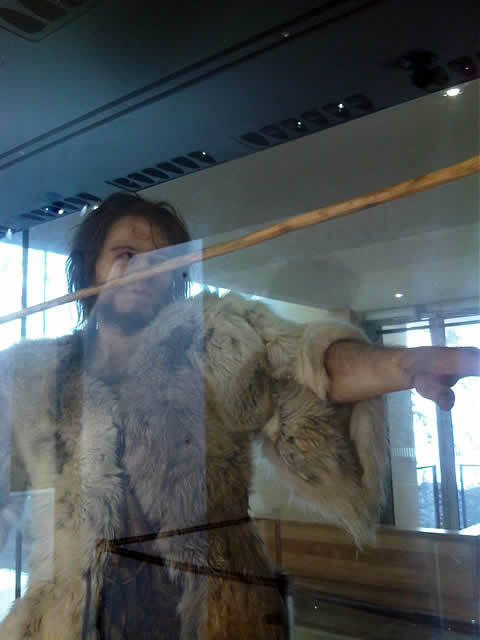 It gives a comprehensive overview of prehistoric life in the area and has some fascinating artefacts, but most of the information is in French, though English language tours can be booked. 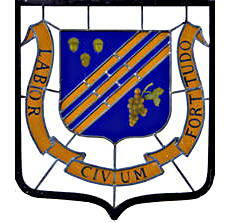 It is closed Tuesday and Saturday and two hours at lunch time. Level I is full of helpful tables and charts which put the mind-boggling millennia into perspective. If, technologically, humankind got off to a slow start (see the flint blades on level I) the opposite is true in art: the rooms on Level II form a kind of Louvre of prehistory, with the largest collection anywhere of carved stone blocks. Level III has a collection of art mobilier casts, of works mostly found along the river in the 19th Century. Level IV contain casts of Neanderthal and Cro-Magnon skulls, bones of animals and several sepulchres-the remains of bodies covered with ochre and rare seashells. 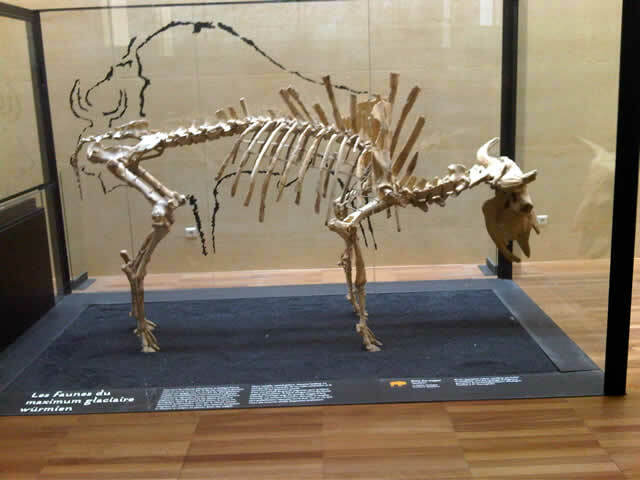 The drawing on the back of the case shows what the animal was in life, in this case a bison. A Rhino-fascinating. Again, the drawing on the back of the case shows what the animal was like. 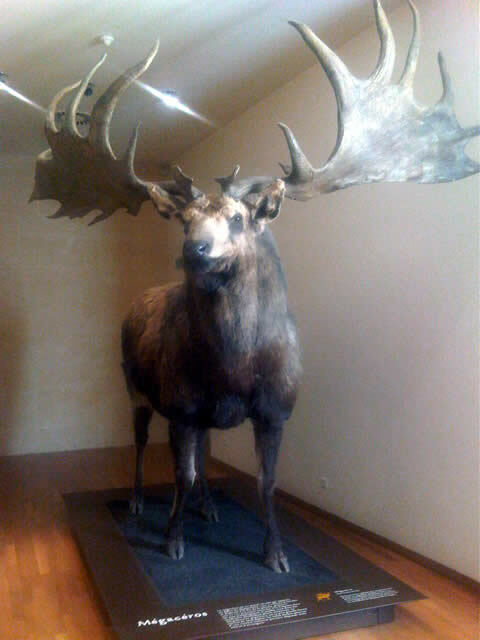 This stag was so huge; being hobbit size I came up to its thigh. 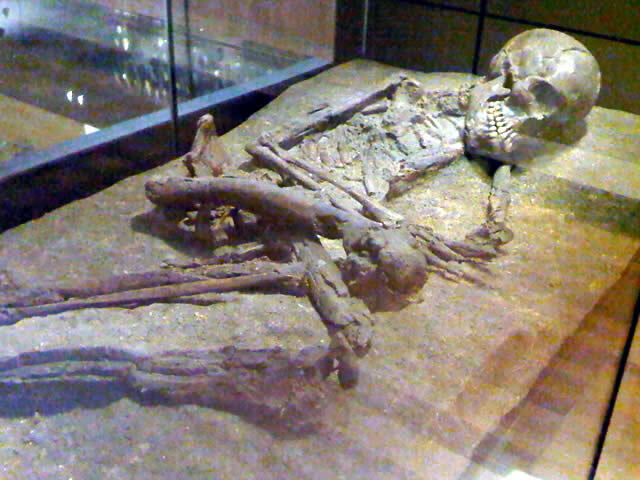 I think that you can just see the ochre on the skeleton, truly amazing. Now this man I like, he looks so real, very well done. Our first visit to the cave at Lascaux was in 2010 and to be honest I was a little disappointed on our arrival due to the fact that I was expecting to see the original cave!. 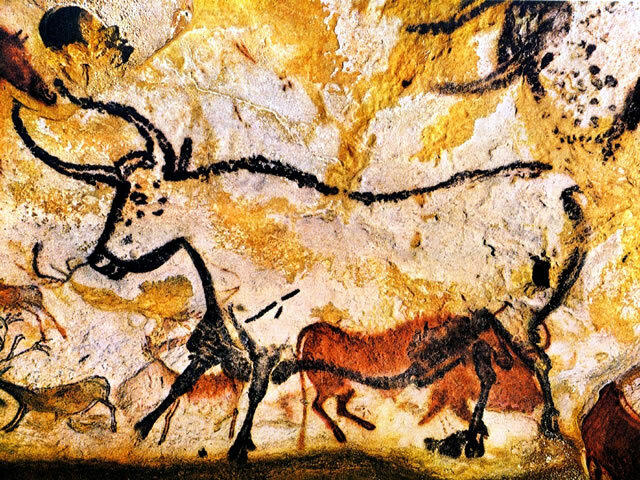 Lascaux II, is a replica of two of the cave halls, the Hall of the Bulls and the Painted Gallery and was opened in 1983, 200 meters from the original cave. However, what it taught me was to always research any Cave, Chateau, etc before the visit. Once inside Lascaux II the disappointment was over and the only word I could say was “awesome”. Having never seen cave paintings before, I was hooked and ready for more. They are especially awesome when you think what these great artists had to work with e.g. colour blowing onto the rock and using the natural relief of the rock in order to create volume. Our guide that day adjusted the lighting in several ways in order to bring out the extraordinary fullness and depth of the drawings, it is impossible to believe that anyone could make such perfect lines and shading on an irregular stone surface with only a dim smoking lamp of mammoth fat to guide their hand, it is truly remarkable. 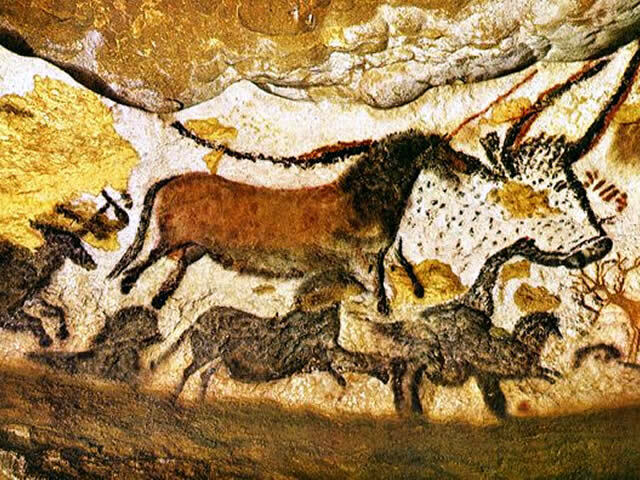 Lascaux is a complex set of caves near to the village of Montignac which date from the Palaeolithic period and are thought to be about 17,300 years old. They primarily consist of images of large animals, most of which are known from fossil evidence which was found in the area. The cave complex was open to the public in 1948 but by 1955 it was found that carbon dioxide produced by the many visitors had visibly damaged the paintings. After the caves were closed, the paintings were restored and monitored on a regular basis. The caves contain the Hall of the Bulls, Painted Gallery, Shaft, Nave, the Apse and the Chamber of Felines. Being a cat lover I would particularly like to see the Chamber of Felines. Taureau au trident-you can see that it looks like two animals running, one male and one female, the female is overlaid in front of the male and a curious trident in the bottom left hand corner. The colours are outstanding on the horses, bulls and deer in the paintings. The detail in the paintings is wonderful. 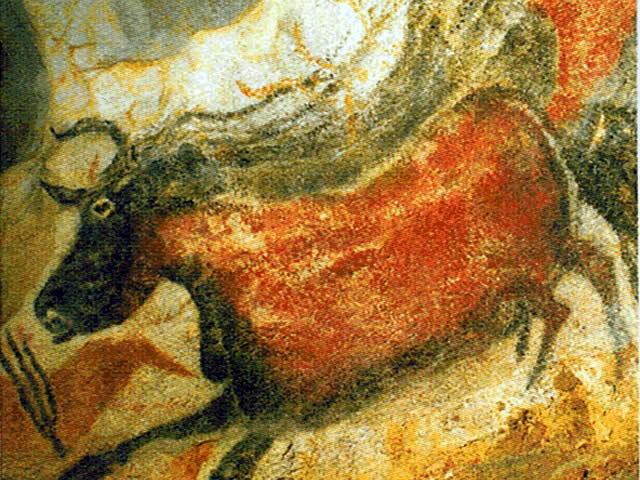 If you are in the Dordogne do not miss a visit to the Lascaux II caves. 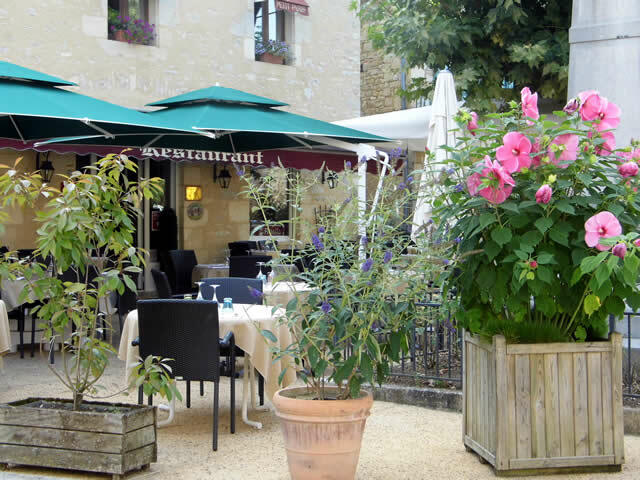 You will need to book in advance at the ticket office in Montignac. They will then offer you a chose of tour guides in your own language. Remember that the caves will be closed for a few hours at lunch time. 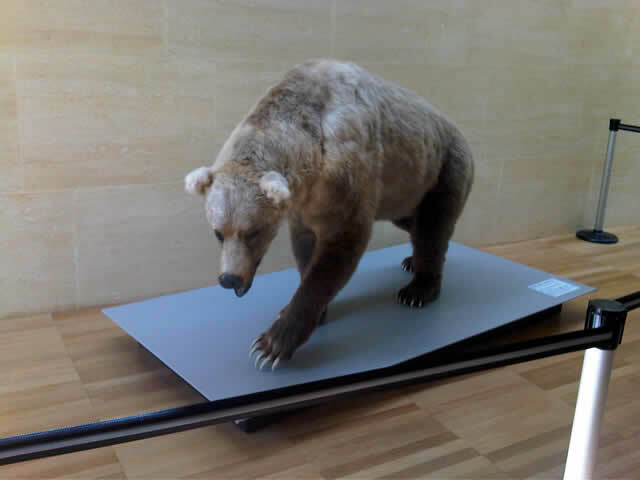 Lascaux III is a travelling exhibition of the site which is on a worldwide tour, while the new Lascaux IV centre will be open near Montignac in 2016. It is National Bread Day on the 21 March in France. Bread in all of its varieties is wonderful in what ever area of France you may be in. 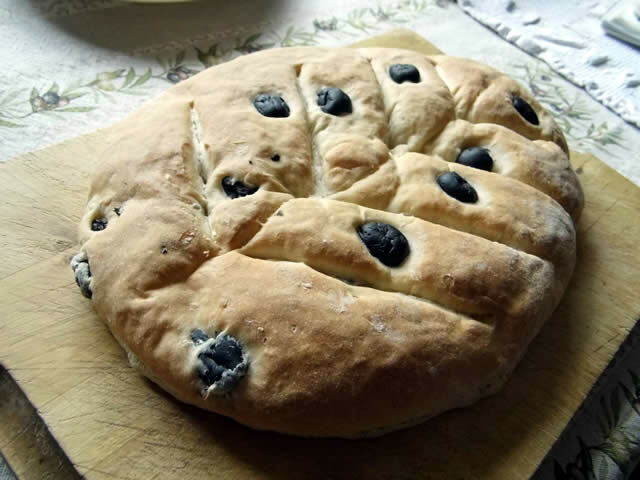 We love fresh bread and I bake at least one a week at home in England, particular French or Italian bread. So to celebrate Bread Day why not try Provencal fougasse. It is delicious warm out of the oven on its own or with cheese and wine.